The U.S. Environmental Protection Agency (EPA) published draft human health and ecological risk assessments for the registration review of several pesticides important to the structural pest management industry including pyrethroids. As directed by FIFRA section 3(g), EPA is reviewing the pesticide registration for these pesticides to ensure that that these chemicals can still be used without unreasonable adverse effects on human health or the environment. 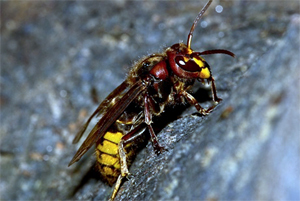 NPMA is in the process of reviewing this information in conjunction with the Pyrethroid Working Group (PWG) and the Pesticide Policy Coalition (PPC). In addition to submitting comments and requesting and extension past the proposed January 30, 2017 deadline, NPMA will be hosting a workshop for nearly 30 federal and state regulators today. Understanding that those tasked with reviewing these products should have the most up to date information, NPMA and ASPCRO have teamed up to provide in-field training, demonstrating use patterns and application techniques of pyrethroids. This workshop will provide a good opportunity for regulators to ask questions and generate dialogue around these products as they undergo review. Thank you to American Pest Management for assisting us with the mock treatment demonstration, and to the Virginia Department of Agriculture for providing inspectors to demonstrate how State Lead Agencies (SLAs) oversee PMP applications in a real world setting. The PRSA Pepperpot Awards are a staple in the Philadelphia region, recognizing best-in-class PR campaigns, tactics and professionals. The event honors public relations campaigns and tactics submitted by chapter members across the Greater Philadelphia region. The Professional Pest Management Alliance’s "Pests Without Borders" PSA won first place for the "Public Service Announcement – TV" category for productions of two minutes or less. PPMA’s TV PSA focused on vector-borne diseases as a global concern and the quality of life professional pest control preserves here in the U.S. That being said, Lyme disease, West Nile virus and Dengue are prevalent in the U.S., spread by infected ticks and mosquitoes. When Zika virus and its alarming connection to birth defects was confirmed in America, effects that could negatively impact future generations of unborn children, the PPMA tasked Vault Communications and Center City Film and Video with ensuring its PSA campaign would effectively educate the American public, and cut through a competitive landscape due to the Olympics and U.S. general election taking airtime. Together we developed "Pests Without Borders," a campaign that by the end of November, secured 10,464 TV airings, making 82.1 million impressions worth $2.9 million in ad value. What does the new administration and political landscape mean for you? Join NPMA and hundreds of pest management professionals on March 12-14 and make your voice heard on Capitol Hill. Nothing makes a bigger impression on your legislators than a visit from YOU. Click here to learn more. 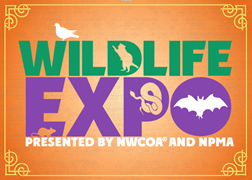 Make plans to join NPMA and the National Wildlife Control Operators Association (NWCOA) on February 4-6 in Memphis. This program provides the most current technical and business-related information to professionals who are involved in wildlife management or are considering offering this valuable add-on service. Click here to view the full program and registration. PestVets, with the support of FMC, is offering complimentary job listings on NPMA’s Career Center for any NPMA members who are looking to hire veterans. There are currently 530 job opportunities posted on the NPMA Career Center! • Ashcraft Termite and Pest Management Co.
"Over the last eight years, the NLRB has overturned an astounding total of 4,559 years’ worth of long-standing precedent, blurred numerous bright-line tests, and dramatically overhauled the union election process – all in an effort to benefit organized labor. The Board embarked upon this campaign with little regard as to the negative impact these policy decisions would have on workers, employers and the economy in general. CDW has opposed this regulatory overreach through litigation; both by directly challenging Board rules and through amicus briefs challenging Board decisions. We have also advocated for legislation, policy riders and Congressional Review Act Resolutions to rein in the Board. Despite our efforts, the Board has continued with its radical agenda at the expense of worker and employer rights and our economy." Lastly, the letter encourages the Trump administration to immediately designate the sole Republican member as Chairman of NLRB. On December 12, 2016, the U.S. Environmental Protection Agency (EPA) Office of Inspector General (OIG) released its report on the OIG’s review "to determine the extent and nature of adverse impacts caused by structural fumigations". The report, Additional Measures Can Be Taken to Prevent Deaths and Serious Injuries From Residential Fumigations, includes the OIG’s findings, recommendations and the EPA’s response and proposed action steps. Click here to read the full report. Yesterday, the U.S. Environmental Association (EPA) published the final Certification & Training (C&T) rule amending 40 CFR part 171. The rule will raise the Federal standards for applicator competency, including testing, certification and continuing education, in an effort to provide assurances that certified applicators and noncertified applicators under their direct supervision are competent to use pesticides in a manner that will not cause unreasonable adverse effects. The rule will go into effect on February 12, 2017, but there will be a lengthy implementation period. For a detailed comparison between the proposed rule and the final rule, click here. In Memoriam: James P. McHale Sr.
James P. McHale Sr., founder of JP McHale Pest Management, Inc., recently passed away at the age of 80. Click here to view the obituary. Atlanta-based Arrow Exterminators has been entertaining spectators in downtown Atlanta for over 19 years by sponsoring and participating in the Children’s Healthcare of Atlanta® (CHOA) Christmas Parade. This year over 200 team members and their families braved the cold to walk in the parade and expertly maneuver the two-story character balloons, the Three Blind Mice, down the route. American Pest acquires GreenStar Termite & Pest Control.